My top ten list of favourite foods would definitely include cheese blitzes. 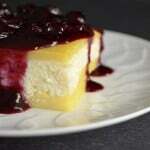 Have you ever had a cheese blintz? A creamy cheese filling enclosed in a crepe, served with sour cream and/or fruit toppings (I always smother mine with blueberry sauce). I was so excited when I found this version! Come take a look at these Baked Ricotta Cheese Blintzes. This Sunday is Mother’s Day. 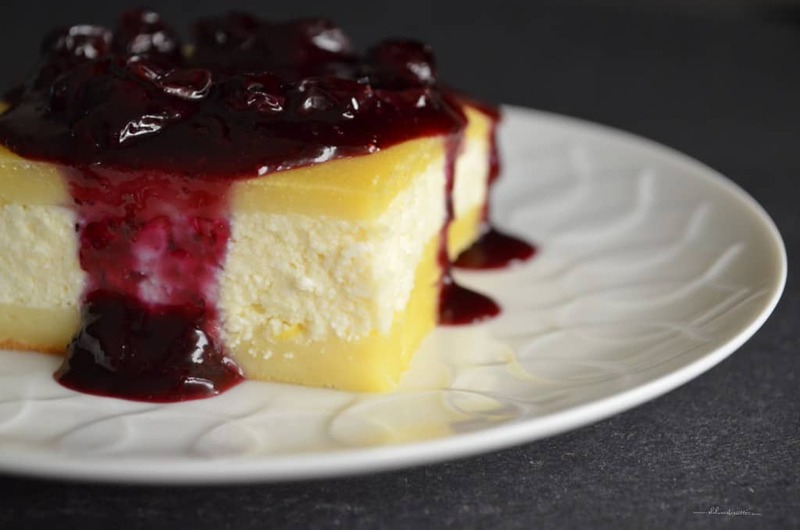 If you are getting together with family and friends, this would make a great addition to your brunch table or it’s perfect for dessert, served with lots of blueberry sauce! During the last couple of years of my mother’s life, we made it a point to have a weekly family get together. Personally, I wanted my kids to have wonderful memories of their grandmother… her generosity, her kindness, her childlike innocence, but most of all her goodness. My mom loved BBQ’s and so, often times, my husband would get the BBQ going (even in the dead of winter…flashlights and all!) and I would always try to make a “special” dessert. I have some wonderful memories of those Saturday BBQ’s and how my mom thoroughly enjoyed trying “new” desserts. The tradition stuck, even after she left us, and all I can think of as I look at these wonderful baked ricotta cheese blintzes is how much she would have loved them. I absolutely adore the Barefoot Contessa…Ina Garten. I make so many of her mouth watering recipes, you just can’t go wrong (I’ve adapted her Grilled Polenta Recipe which is truly mouth-watering!) 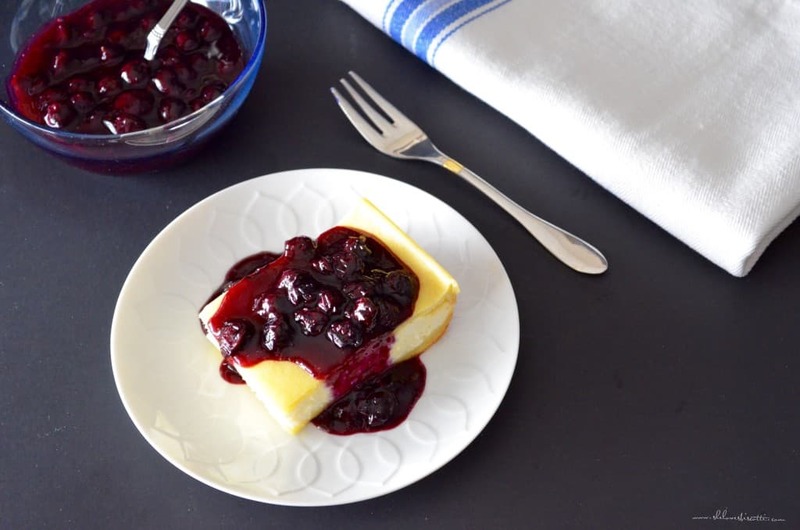 This Baked Ricotta Cheese Blintzes is taken from her cookbook, Back to Basics. Original recipe can be found here. I’ve only made two small changes to this wonderful recipe; I’ve decreased the salt and substituted the butter with olive oil. 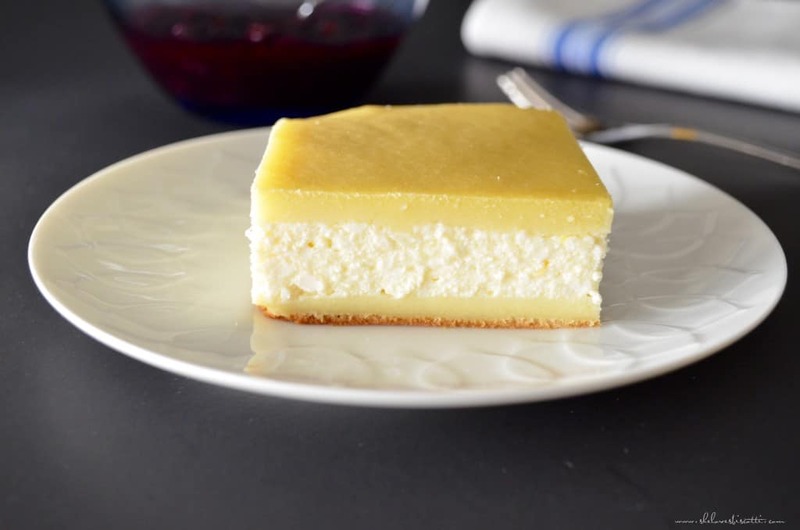 If you are looking for another interpretation for a baked ricotta dish, check out the recipe at Kitchen Bliss! Happy Mother’s Day to all the wonderful moms, wishing you all the love, peace and happiness that you all deserve. To my Mom, my guardian angel from above, buona festa della mamma! 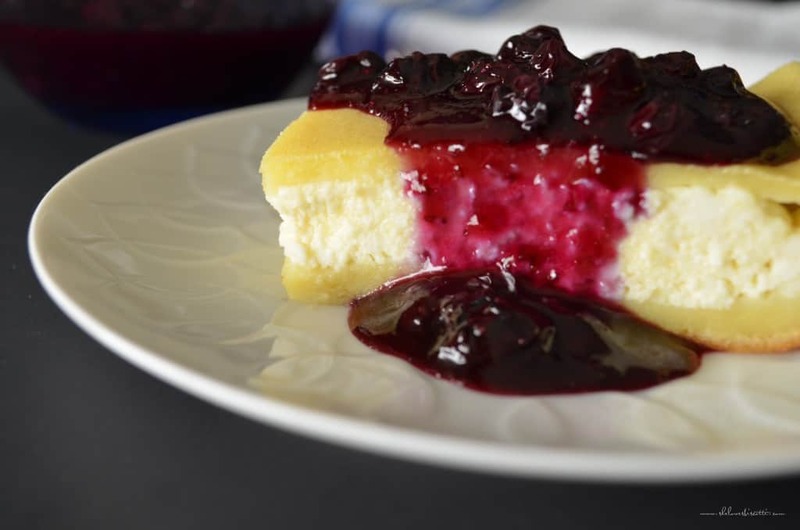 Baked Cheese Blintzes with Ricotta & Mascarpone, served with a blueberry sauce. Ina's baked version is the perfect recipe for a Mother's Day brunch. Grease and flour (or use non-stick spray) a 9 x 13 inch cake pan. With the use of a blender or a food processor (fitted with steel blade), blend all ingredients (for the batter) until smooth. Pour approximately 1¾ cups of the batter in the prepared baking dish. In a large mixing bowl (of stand mixer) using whisk attachment, combine the ricotta, mascarpone, eggs, and sugar. Whisk together for 1-2 minutes. Add the rest of the ingredients and whisk together. Spread this cheese mixture over the base. Very gently spoon the remaining batter over the cheese mixture. Place pan in oven for approximately 35-40 minutes. Remove from the oven and let stand for at least 15 minutes. 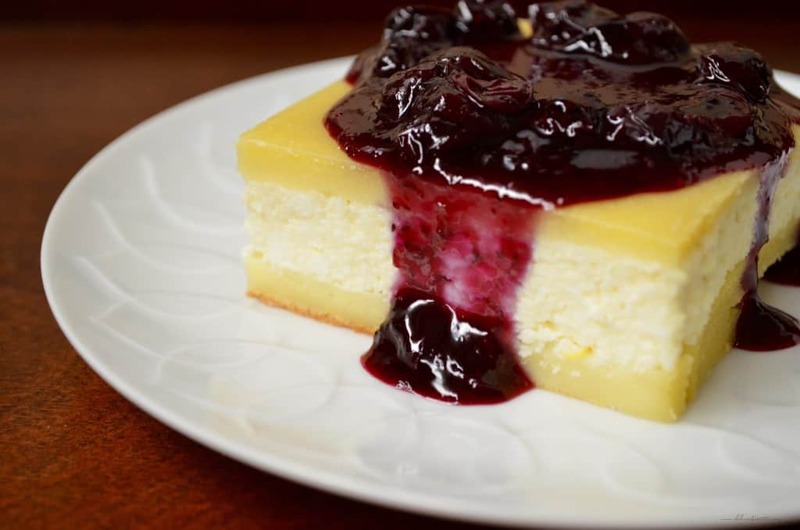 Cut into squares and serve with sour cream, applesauce, or blueberry sauce. Combine all the ingredients, except the blueberries in a medium saucepan. Bring to a gentle boil. Stir occasionally. Just before removing from stove top, stir in the reserved blueberries, lemon zest and juice. Cut 3 rows across by 6 columns. Can this be made a day (or two) ahead and warmed up before serving? I love anything with cheese and these look like they are perfect to serve for a brunch get together. Thanks for sharing! Is the “1/3 sugar” in the filling, and the “1 1/3 flour” in the filling “cups”?